The waiting is over and we’re set to go. The Coast 2014 programme is back from the printers – and jolly good it looks too! The fabulous Norfolk Dixieland Jazz Band will be entertaining us at the second fund-raising music afternoon at Templewood, once again very kindly hosted by Eddie & Tina Anderson. Fish pie (or vegetarian pie), wine, music, dance, conversation, fun and maybe some fund-raising – all for just £15. The Exhibition aims to show some of the impact of the War on the village community and on the lives of the families of those who made the ultimate sacrifice. Commemorating the centenary of the outbreak of the First World War Eventide (In Memoriam Edith Cavell)is based on the life of courage and faith shown by Edith Cavell the Norfolk nurse who was executed in Belgium in 1915 and who is buried – and still much remembered – in Norwich Cathedral. Orchestras Live North Norfolk is a series of the highest quality orchestral concerts developed by NNDC in partnership with Orchestras Live and community organisations. 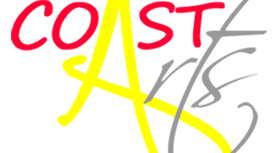 The programme for the 2014 COAST festival is at an advanced stage and we are pleased to be able to share it with you on the coastarts.co.uk website.